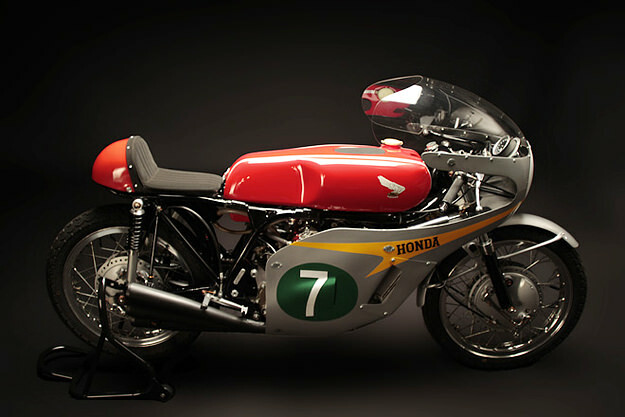 The Honda RC166 isn’t just one of the most beautiful racing motorcycles of all time. 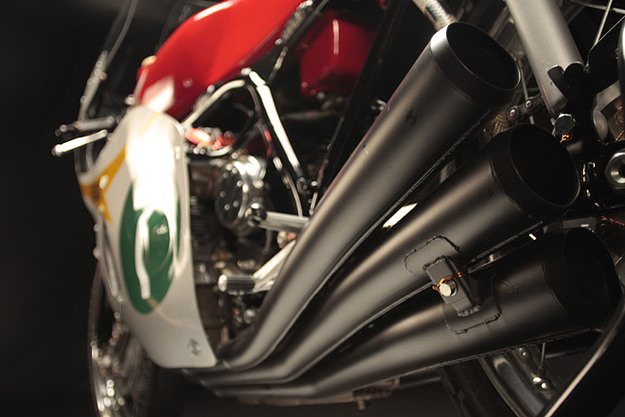 It was also a winner with a capital W. This invincible track weapon came first in all ten races of the 1966 World Championship Series, and also captured the 250cc Manufacturers’ and Riders’ Championships for two consecutive years. 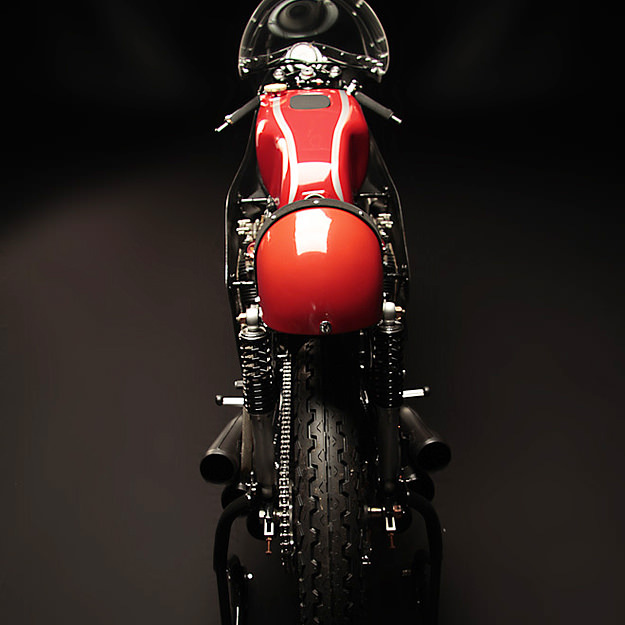 The engine was a jewel-like DOHC inline six, with six carburetors, driving through a seven-speed ’box. 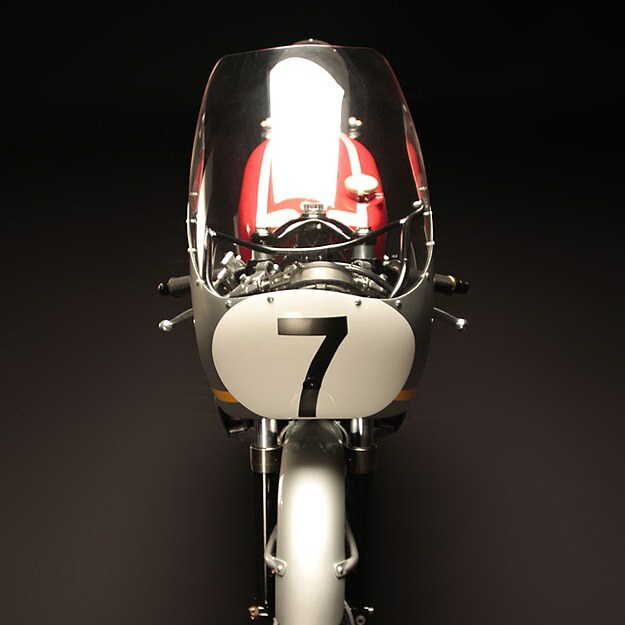 This particular machine, #7, is even more special: it’s the one ridden by Isle of Man TT Winner Mike Hailwood. 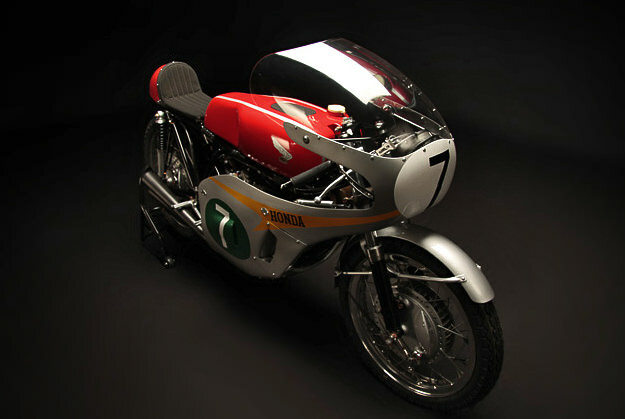 It’s the centerpiece of a marvelous gallery on Honda’s 50 Years of World Championship Racing website, along with other icons such as the RC142 and NR500. Via the highly recommended Motorsport Retro.